Since the Tang dynasty , eating utensils have been made from the shell of the coconut. In the Sung dynasty, they even favored by the intellectuals of the time, the carving became refined and decorative so refined that by the Ming and Qing dynasty, coconut carvings have made it as a imperial offering to the Emperor! 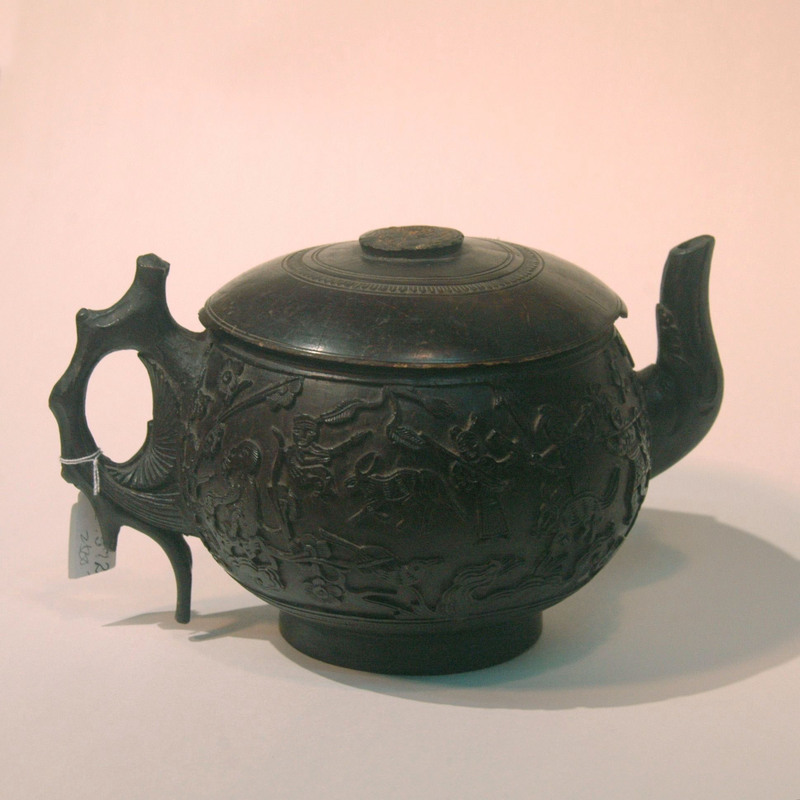 There are broadly 2 types of coconut teapots; the first has a inner layer made of metal (pewter, silver, bronze etc) and small pieces of coconut shell set over, the second (like this one) is made from a whole coconut shell.